A study released on Thursday claims the iPad accounts for nearly of all web traffic originating from tablets, and 54.5 percent of all traffic from mobile devices, to sites running the touch-centric Onswipe platform. In its first-ever study, Onswipe, a digital publishing tool developer that helps websites create "touch friendly" web experiences without building a standalone app, found that Apple's tablet represented 98.1 percent of 29.5 million unique impressions over 1200 sites from Sept. 13 to Sept. 20. 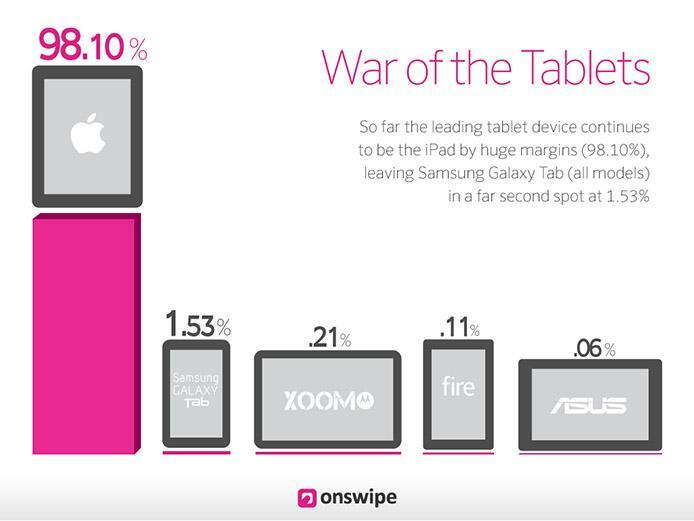 Apple's massive share was followed by Samsung's Galaxy Tab and Motorola's Xoom, which managed 1.53 percent and 0.21 percent of tablet-based traffic, respectively. Amazon's 7-inch Kindle Fire came in fourth with 0.11 percent. "The iPad is clearly a browsing device," Onswipe CEO Jason Baptiste told AppleInsider, explaining that his company can track device and engagement data via the aptly-named Onswipe platform. 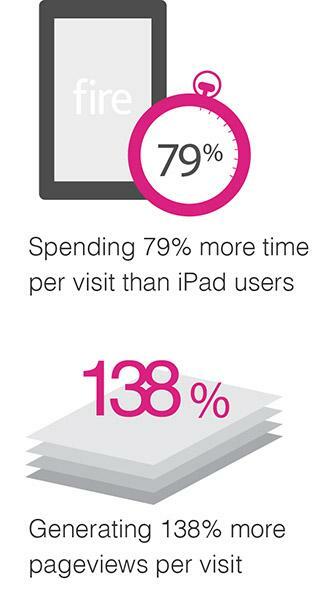 Digging deeper into the results, iPad users spent 56.9 percent more time per web surfing session than iPhone owners, possibly hinting that the tablet's larger screen is better suited for browsing. Also of note is the iPad's 54.5 percent share of total mobile web traffic, more than doubling the iPhone's share of 19.05 percent despite having comparatively fewer units in operation. Interestingly, the Kindle Fire has seen a bump in web content engagement, as users spend 79 percent more time per page visit compared to iPad users. Amazon's small form factor device also generates 138 percent more page views per visit relative to Apple's tablet. The results offer a look at what could be the future of tablet computing as an onslaught of 7-inch products hit the market, possibly signaling a push toward smaller, more portable devices. As for operating system share, Apple's iOS owns 75.12 percent of total mobile content consumption across Onswipe's monitored network, followed by Android with 22.3 percent and all others with 2.5 percent. Baptiste made note of a brief follow-up study conducted on Wednesday which found iOS 6 accounted for 40.8 percent of all iOS traffic for visitors to Onswipe partner sites. Of the 250,000 unique iOS users studied, 56.76 percent of iPhone users upgraded to iOS 6, compared to 37.75 percent of iPad owners.